Border crossings by Unaccompanied Alien Children (UAC) and Family Units rose significantly during the first four months of FY 2016 when compared to the same period in FY 2015. Some Border Patrol sectors reported in excess of 500 percent increases in both categories. These numbers come for a U.S. Customs and Border Protection update released after business hours on Friday evening. 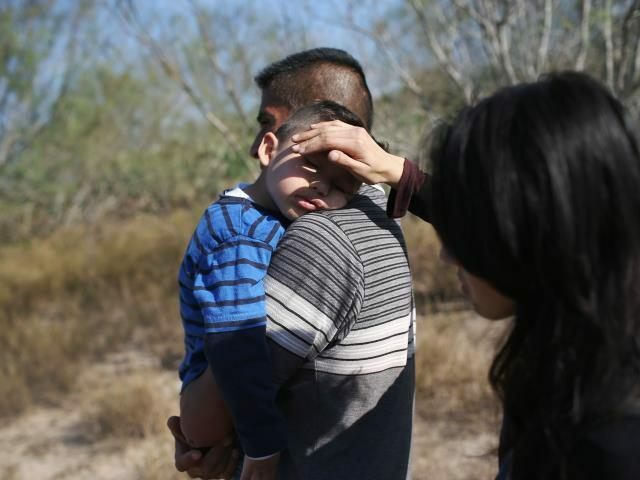 The report, obtained by Breitbart Texas, shows shocking increases in the numbers of children and families illegally crossing the border. In prior years, the overwhelming numbers in both categories had been located in the Rio Grande Valley (RGV) Sector in South Texas. The current report shows a trend of crossings increasing all along the U.S. southern border. In West Texas, the Big Bend Sector showed an increase of UAC crossings of 624 percent while the Yuma Sector in Arizona saw a rise of 697 percent. The El Paso Sector shows an increase of 339 percent (the CBP chart shown below is in error). Even the RGV Sector which has seen massive numbers in years past, showed an increase in excess of 100 percent. The Laredo, Tucson and San Diego sectors were the only ones to show a decrease in the numbers of UAC crossings. The total number of crossings of UACs along the entire southwest border was up by 102 percent – from 10,105 in Q1 FY15 to 20,455 in Q1 FY16. Not surprisingly, the numbers of Incomplete Family Units (IFU) is also up significantly. Three sectors (Big Bend, El Paso, and Yuma) show increases in excess of 500 percent. Yuma showed an increase of 1033 percent. Again, Tucson, Laredo, and San Diego showed decreases in their numbers. The total number of IFUs rose from 9090 to 24,616 – 171 percent. While the federal government appears to continue to be shocked by the numbers, Texas officials are not. “I warned about this in a letter from me to Jeh Johnson back at the end of September,” Texas Governor Greg Abbott told the Indian American Chamber of Commerce during a speech in December, as reported by Breitbart Texas’ Lana Shadwick. In that letter, Abbott stated, “I am writing to express my alarm, and to request your help, regarding the significant increase in immigrants who are once again pouring across our border illegally,” Breitbart Texas Ildefonso Ortiz reported. “According to U.S. Border Patrol reports, nearly 10,000 immigrant families and unaccompanied children were detained after illegally crossing the Southwest border in August, an increase of more than 50 percent over August 2014.” A copy of the letter from Abbott to Sec. Johnson can be found in Ortiz’ article. As the numbers of UACs and IFUs continue to increase, Abbott reaffirmed Texas’ commitment to defending its border. In December, Abbott announced he will not sit idle while the federal government continues to allow the flood of illegal alien children and families to flood into Texas. Abbott announced plans to extend the deployment of the Texas National Guard along the border and took action to increase other state law enforcement activities in the region. The numbers in this week’s report from the CBP show that Abbott’s concerns were not unfounded. Note: Tables inserted above were taken from the CBP.gov report.